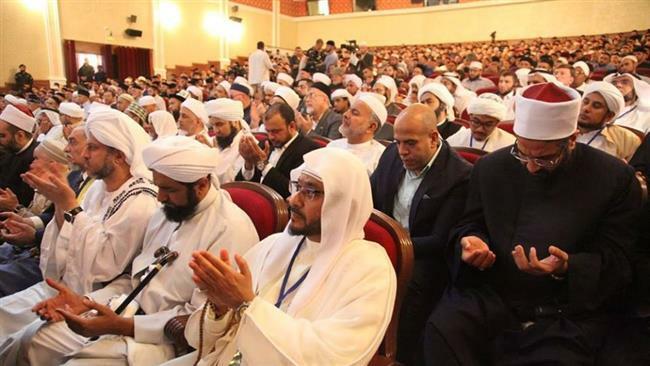 An International conference of Sunni scholars was held in Grozny, Chechnya, attended by more than 100 renowned Islamic scholars and Sufi shaykhs who came from Russia, Syria, Turkey, India, Egypt, Jordan, South Africa, United Kingdom and other countries. This statement implies that Salafists, also called Wahhabis, are not part of the mainstream Ahl as-Sunnah or Sunni Muslims, despite the fact that they are trying to hijack the term Sunni by labeling themselves as Sunni Muslims. The conference was held on 25-27 August 2016 in the city of Grozny, organized by the president of the Chechen Republic Ramzan Kadyrov. Wahhabi clerics of the Saudi Kingdom are furious over this conference. Wahhabis of other countries have also been angered over it. the turkey also should taken this type of conference due to the turkey also fallow the sunni path and naqshbandi system of sufism and the deobandi also fallow wahabism and refer the books of Abdul wahab najdi not sunni . Why don’t we see Pakistan among the list of participants. Sunnis in Pakistan, though in majority, due to their laziness are intellectually suppressed by an extremely active Wahabi minority. Lately, while searching for an Urdu translation of “Nahw Mir” by some Sunni scholar, I was horrified to find out that all freely available Urdu translations of the book are written by Deobandi Wahabi writers. Its high time that we wake up from this slumber. Its ridiculous to refer to Deobandis as Wahhabi. First of all they are Hanafi in Fiqh, Maturidi in Aqeedah, and adhere to 4 if the biggest Tariqas in Tasawwuf, primarily Chisti. Being conservative does not make you a wahhabi . Following the understanding of Muhammad ibn Abdul Wahhab does. He was Hanbali in fiqh, Athari in Aqeedah(so they claim). What is the MAIN difference you found in Nejdis/Wahhabis and Deobandis in Belief System. Those who believed that Ibn Abdul Wahhab’s teachings are indeed Correct Teachings of Islam though He was Strict, will still be termed as within the fold of Ahle Sunnat wall Jamaah..?? It’s just an Eye wash, They themselves do not what to do with long back ago association with Chishti Order, that too mainly because of their elders being disciples of Haji Imdadullah Muhajir makki RH who was indeed Sunni following Xhisti Order. Being in one madarasa in Kanpur, their Haakim ul Ummah had himself said at one occasion, that we are Wahaabi, Don’t bring sweets here for Niyaaz and Faatiha and All, what doubt it leaves then about who they are actually. Deobandis are hanafi in fiqh but in reality they are Wahhabi in Aqeedah, they reject many concepts of sunni muslims and term them as shirk, also their founders have held many blasphemous beliefs. Ibn Taymiyya was declared a Blasphemer by four Qadi’s from every Sunnah School. He was a devaint and was made to repent on more than one occasion, same thing for his student Ibn Qayyim. He likned Allah to the Creation in amny of his books… This is known by both Scholars and laymen a like. No matter what is the ‘Ikram ‘ of these ‘mashaik’ attending the conference in Grozny Chechniya, I have to say something. It saddens me to hear what they have concluded at there conference. The image of tassawuf was to bring people together rather than getting them out of the fold of Islam. They should rethink without wearing the spectacle of sectarianism. Islam is a system of belief and acts that are determined by Allah and delivered and exemplified by His Final Messenger (SAW). We can benefit from the process of understanding of people / scholars who came after him but cannot re-identify the system of beliefs and actions with anyone other than the prophet Mohammad (SAW) himself.